Top notch stereo shop. Chris you helped me out on my new 4runner. Im sure i drove you nuts but you always made time for me. For that i say thank you. Everyone there is ready to help. I could not be happier with my upgrade. The installers really know what they are doing. I love sound and they made it happen. Great team. Great job. Thanks. 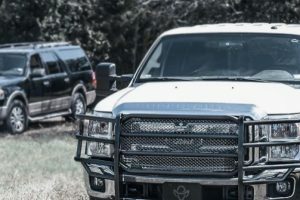 I have a new F-350 SuperDuty and I'm pretty particular about who works on it. 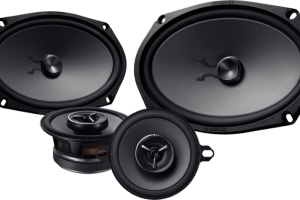 I was not able to find any high-end car audio shop in the Jacksonville area that looked like one that I would trust with my truck and who had a competent installation crew with many years of experience, not some fresh outs. My search took me about a hundred miles away to Gainesville where I found Danny, Omar, Dwayne and Brian. These guys are the real deal, and have been doing car audio for decades. I explained to them what I wanted my truck to sound like and my expectations for the installation and mounting of the hardware, and it was right in line with their best practices. I got an audio system with JL & Hertz components, and retained the factory head unit with all the Bluetooth and backup camera controls. Brian designed a custom subwoofer box that mounts under the rear seat but still gives me room for some partial storage, and does not take up the entire area, which made me very happy. The fabrication job was outstanding to say the least. It looks exactly like something that would have come from the factory. The carpet and vinyl used matches the interior perfectly. I couldn't be happier. The system sounds amazing and is just getting broken in. This will be my go-to car audio shop for all my future needs. If you're anywhere around the central or North Florida area you need to meet with these guys if you're serious about a mobile audio system for your vehicle. AWESOME the best in town! The radio in my 2013 GMC Acadia wasn’t up to the job of staying connected to my phone. I went to Sound Depot because I had been there before to get tint placed on my cars and they were awesome. I thanked him for his time and told him I would need to discuss with the wife. I talked with my wife and she agreed as long as we did an overhead dvd player (We had just taken a long road trip and the kids drove us NUTS!). It was Saturday, I immediately called the store and talked with Danny again. At which time he gave me prices and model numbers so I could review them online. I think I spent all day Sunday comparing radios and dvd players. That Monday, I went back to the store to touch and play with the the overhead unit I had chosen over the weekend. Danny was off but Chris was there and more than willing to help out. We looked at the different models. After debating in my head, I chose which the model I wanted and set up an appointment to get everything installed. Let me tell you, these guys are amazing! The install looks flawless! I love the radio and the sound it puts out. It is so much better than stock! MY KIDS LOVE THE DVD PLAYER AND ARE QUIET DURING ROAD TRIPS NOW! I couldn’t ask for more. Thank you to Danny, Chris, Omar and the entire team at Sound Depot! You guys are awesome! 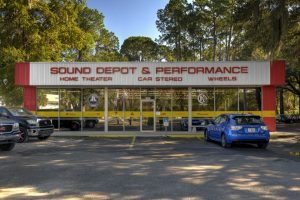 After wasting weeks trying to find a decent sound system installer in Jacksonville (like Bigfoot, they don't really exist), I started looking at out of town shops and immediately found one with an unusually stellar reputation, SDP in Gainesville. Their reputation is well deserved. Omar, Danny and Chris patiently walked me through the whole process and I was able to get my DREAM SYSTEM (Hertz, JL & Kenwood equipment, unbelievable setup) installed quickly and painlessly. These guys are the real deal with only the best gear, superior technical expertise and above all, the highest level of customer service I’ve ever seen (especially Danny, the guy should wear a friggin cape with the letter “D” on it – he’s that good). Don't hesitate; just go see SDP for yourself. Before you know it you’ll be writing one of these great reviews too! Had a problem with my 2008 Lexus Navigation screen. I was expecting a large expensive bill. Chris, a Service Tech said give him a minute and he would take a look at the problem. With a meter he checked the car out and found a fix. He fixed the problem in 15 min. or less. I was very Impressive with his knowledge and skill. Chris saved me a lot of money! I'm not sure that other dealerships would have done the same! Thank You Sound Depot and Performance! 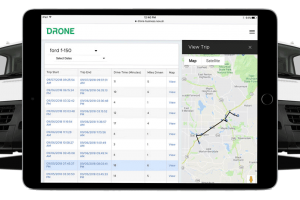 When I need service or equipment that is where I will go. Very impressed with knowledge that the employees have and how efficient they are. Awesome Customer Service, Thanks. I drive a lifted Jeep JK Wrangler Unlimited and wanted to install a quality sound system to enjoy even when the doors and top were off during off-road activities. This meant that my system needed to be able to stand up to water, heat, and other environmental factors. Jonathan and the Sound Depot team went above and beyond to help me learn about the different products, setups, and alternatives that were available to me that fit my needs and my budget. They used high quality OFC wiring and installed my new marine (water-proof) amplifier that I didn't even buy from their store, as well as a new JL Audio sub-woofer that I did buy from them. The sound system is absolutely fantastic and has been working well for months now! The entire process was very stress free. At no point did I feel like they were trying to sell me something or push a product on me - they were very transparent and even installed parts that I didn't buy from them. They quickly addressed my myriad of questions so that I fully understood the prices for all of my options prior to choosing one for the Jeep. To top it all off, they offer a great warranty and will service the system should something go wrong, which tells me they are confident in their service. Overall, I'm extremely happy with the sound system itself, the help I received from Jonathan throughout the process, and the Sound Depot team for doing outstanding work for a great price. I bought a Pioneer radio on Amazon and had some issues getting the Blue Tooth to work correctly with my phone so I stopped by SDP expecting to drop my truck off for the day, however the team at SDP took the time to walk out to my truck and check out the problem, which they quickly identified and walked me through the fix, which they didn't charge me for. These guys do great work and I've always had a great experience when using them for any my custom needs. From start to finish my service was phenomenal. Proffessional, timely, and all around great work. Will be returning......Ask for Danny!! !